Readers of our annual Stallion brochure will have acquainted themselves with the fundamentals behind our acquisition strategies involving our stallions. Remember, we are first and foremost the principal source of Northern Dancer blood in South Africa, having stood his two most successful sire sons in southern hemisphere history, in Northern Guest and Rambo Dancer. The influence of these two stallions on the reservoir of broodmares in the KwaZulu-Natal region, is such that the general band of breeding stock in KZN as a whole, also bears a fairly strong resemblance to the profile of mares at Summerhill. As a result, there is an obvious duty on us to seek out those stallion prospects which suit the broader majority of mares best. 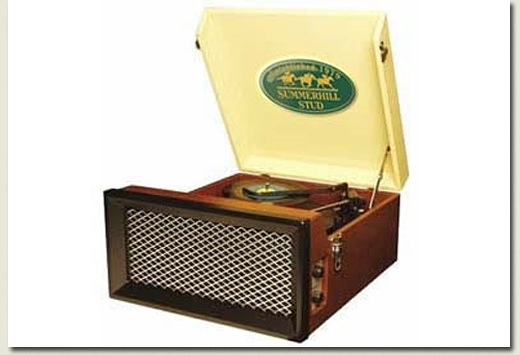 Of course, as you’ve heard the “scratches” on our old 78 rpm record remind us so often, there was little point in our simply acquiring stallions with apparent affinities on paper, without their being the “business” in their physical and other attributes as well. Typically, the Northern Dancer-line mares are relatively smallish or light framed types, athletic, feminine, and always needing bulk and bone. Not that they’ve underperformed: on the contrary, Northern Guest is in line for a world record-setting seventh consecutive Broodmare Sires title as we write, and his daughters have been the bedrock of our success. Femininity and versality, we guess, has been the key. The Mr. Prospector and Roberto male lines have obvious appeal, both from the perspective of their physical attributes and from the point of view that there was already an international precedent for the fact that they work with Northern Dancer, so this, in principal at least, was part of the solution. We then discovered that Danehill had also developed a very happy (though, on the face of it at any rate, unexpected, liaison with mares carrying the blood of Northern Dancer, and we say this simply because the prayer books of the Anglican and Catholic churches frown upon unions with relatives). You see, Danehill carries the blood of Northern Dancer through both his male and female lines. Such is our conditioning! You only need look at the record of Danehill in conjunction with the Northern Dancer-line which threw up the spectacular likes of Rock Of Gibraltar, Peeping Fawn (the best filly in the world last year), Horatio Nelson (as near as “dammit” the champion two year old of Europe the year before) etc, to realize that Danehill is one of the most powerful complements for Northern Dancer. Yet if you look at it closely, it was an obvious foil, provided he made sense from every other point of view. He’s the right “type”, and any cross between Danehill and Northern Dancer represents at least three duplications of one of history’s most celebrated matriarchs, Almahmoud. The other obvious male line which we settled on quite quickly was that of Machiavellian, who not only carries the blood of Mr. Prospector, but also has two strains (through his broodmare sire Halo, as well as his direct tail female line) of Northern Dancer’s family, without carrying any of Northern Dancer’s own male line specifically. Add to this the fact that most Machiavellians are big, bold physical specimens and you have a recipe made in heaven. Kahal got to work on our Northern Dancer-line mares very quickly at Summerhill, and almost all his Stakes winners to date come from this source, a statement, if ever one was required, of just how potent a cross it is. Of course, knowing that Danehill is also closely related through his female line to Northern Dancer, any combination of Machiavellian or Danehill with Northern Dancer line mares or each other would serve to again duplicate the great foundation mare Almahmoud, through any number of her daughters. Any combinations of Northern Dancer, Halo (sire of Japan’s greatest stallion influence, Sunday Silence,) Machiavellian or Danehill, multiplies these strains without compromising any of the fundamental necessities in producing a good horse which come from their blood affinities, physical compliments, or the other attributes that make up a good racehorse, such as temperament, soundness, speed, stamina, courage, etc. The result is that we don’t only have the basic ingredient through Northern Dancer in our KZN broodmares, but with the passage of time, and the stallions we now have here, the sons of Danehill (Stronghold, Solskjaer and Way West) and Machiavellian (Kahal, Mullins Bay and Hobb Alwhatan) have the potential to duplicate, triplicate, quadruplicate and even quintriplicate these influences, while at the same time adding substance and speed etc to the match. As lethal a cocktail as you might dream of. Imagine a daughter of Northern Guest mated to a son of Danehill (or Machiavellian), and the resulting daughter then visiting a son of Machiavellian (or Danehill). That’s at least 5 strains of Almahmoud alone. “These achievements can only have helped boost Danehill’s reputation in Europe, where he eventually became champion sire in 2005, 2006 and 2007. Part of Danehill’s appeal as a stallion, from a pedigree viewpoint, was that he was inbred 3x3 to Natalma, one of three daughters of Almahmoud to have produced a champion stallion. This, in turn, will have reflected well on More Than Ready when the Vinery stallion arrived to stand his first season in Australia at a fee of A$22,000 in 2001. More Than Ready is by Southern Halo, a horse inbred 3x4 to Almahmoud through Cosmah and Natalma, so he had obvious appeal as a mate for mares with Danehill blood.